Richard Scheffler with Geoffrey Riley. California continues to pass laws--like the recent net neutrality bill--that challenge the rest of the nation to keep up. With a huge chunk of the country's population, the state is in a position to lead. So it could be highly influential in healthcare legislation. Should the state stick with the battered Affordable Care Act, or could it set up a single-payer system of its own? These are questions Richard Scheffler mulls; he is a healthcare economist at the University of California-Berkeley. Paul Stewart and Dr. Joyce Hollander-Rodriguez describe the collaboration. 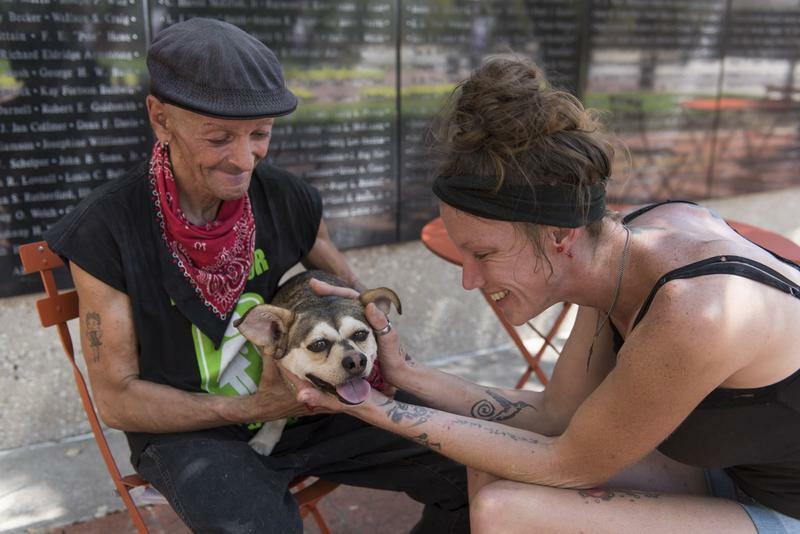 Rural Oregonians who need specialized health treatments can't always get to Portland. So Portland, in a sense, is coming to them. 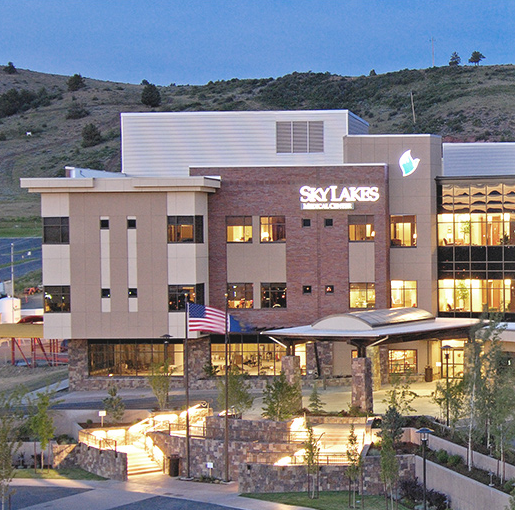 An ongoing relationship between Oregon Health & Science University (OHSU) and Sky Lakes Medical Center in Klamath Falls will create the Sky Lakes Collaborative Health Center. Construction started recently, with completion planned for next year. K. John McConnell details OHP success with CCOs. There is a race gap in many things in America, health care among them. Health outcomes are just generally better for people with white skin. But Oregon's ongoing work in expanding Medicaid through the Oregon Health Plan may be closing that gap. Recent research shows an improvement in health for members of minority groups, since Oregon began using CCOs--coordinated care organizations--to deliver OHP services. The study comes from OHSU in Portland. Nicole Cantu, David Baca, and Dan Richmond talk nursing. Roughly a third of the people who work as nurses in Oregon are approaching retirement age. So in a few more years, a shortage could result... with perhaps 6,000 nursing positions unfilled by 2025. 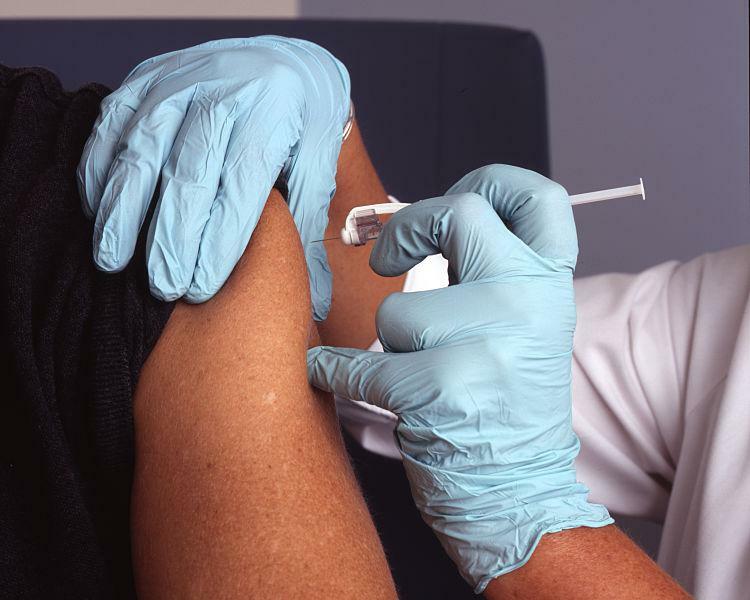 These are figures the Oregon Nurses Association provides and wants to avoid. 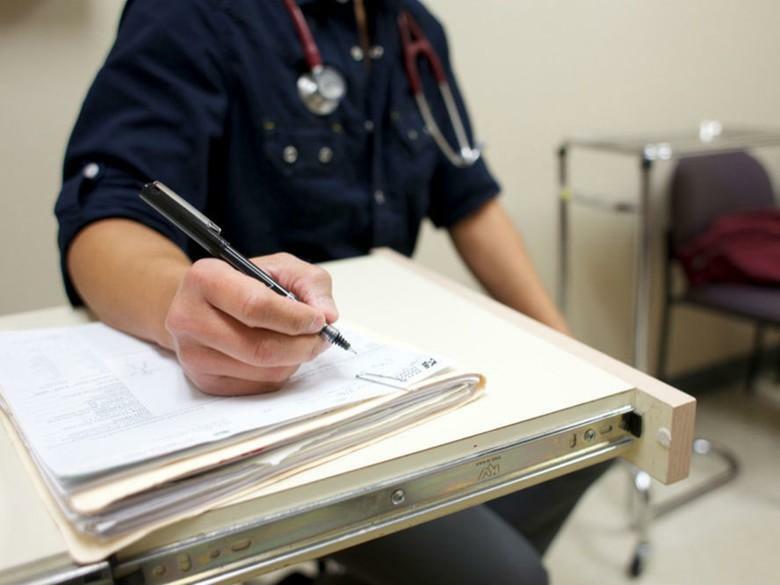 ONA is working on several fronts to address the issue, including providing scholarships and other educational incentives to get more people to train for nursing jobs. ONA reps walks us through the issues and possible solutions. Hannah Love and Dr. Kat Johnston support the tax. Oregon's budget is tight enough that keeping all the programs required a new revenue source. So the legislature narrowly passed a tax on health insurance premiums last summer. And it surprised no one when a small group of legislators organized a petition drive to force the measure to a public vote. Ballots for Measure 101 will go out the first week of the new year for the January 23rd election, and campaigns are already organized, pro and con. Yes for Healthcare chose a name that makes its position clear. Bill Walsh, Laurie Hoagland, and Julian Bell talk healthcare access. Will health care ever be out of the news? Perhaps someday. But today is not that day. With talk of "repeal and replace" still fresh in Washington and new calls for single-payer national health insurance (from Bernie Sanders et al), the topic is still quite lively. The Rogue Valley chapter of the League of Women Voters keeps the discussion going with a free public discussion of universal coverage, Thursday (November 9) in Medford. Dr. Anne Alftine and Doug Stewart explain the ER visit reductions. It's a familiar story in American health care: people getting their primary medical care from a hospital emergency room instead of a primary care physician. The air and ground ambulance service Mercy Flights teamed up with Jackson Care Connect to try a new approach in Jackson County. And the pairing got a grant to test the theory. 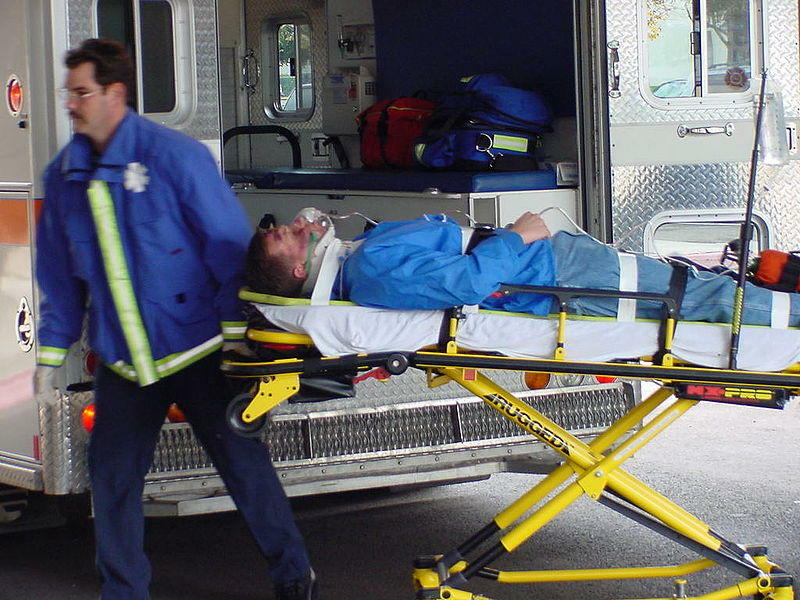 It worked: people who got regular visits from paramedics in non-emergency situations cut their ER visits in half. More than half, actually (56%). Lili Hoag lays out issues for caregivers. It's an issue now and will become a bigger issue in the future: people need care from other people when they are very old and very young. And as the average age in America slides up, more care workers will be needed. Family Forward Oregon joined forces with SEIU, the service workers union, to create a project called Oregon CareWorks, examining issues with the care economy--paid and unpaid--in Oregon. An initial report finds care workers largely overworked and underpaid. The report makes the case for more public money to be devoted to caregiving. Rhoda Baer for National Cancer Institute, ID 7496. Riah Safady, Shannon Rio, and Kendall Bartley talk about what does on inside Planned Parenthood. What does Planned Parenthood mean to you? We put that question to thousands of people in Southern Oregon and Northern California this week through a social media survey. Their answers got personal, even as the question is steeped in politics. Last week Republicans in Congress renewed efforts to zero out federal support for the organization. 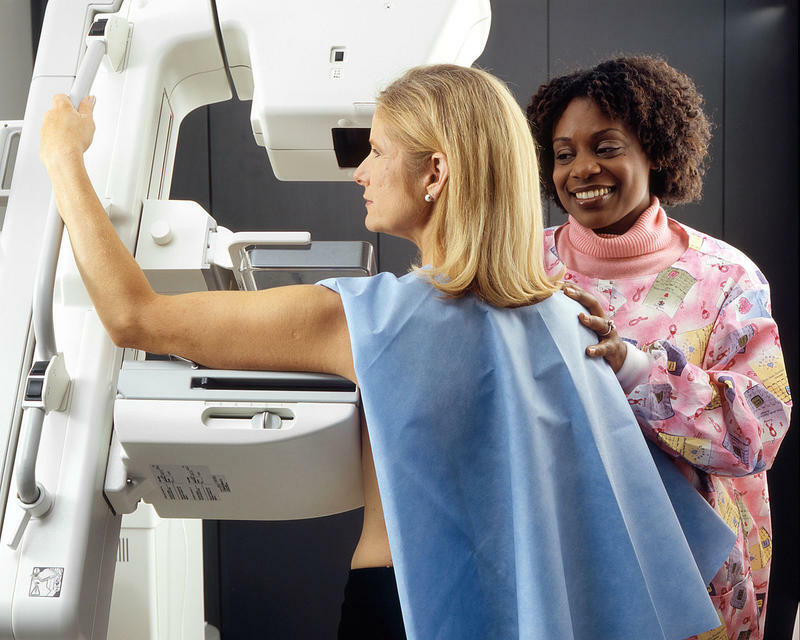 Planned Parenthood provides health services to people with minimal or no health insurance. We hear from those who've been inside a PP clinic about why they went, and the care they received. Shannon Rio is a Nurse Practitioner who provides reproductive health care, and abortions, to women in the Rogue Valley. She joins us with Riah Sadafy and Kendall Bartley from the Women's Resource Center at Southern Oregon University. Listeners share health care stories. California's hospital fee program and drug prices are both items up for votes on the November ballot. We start there and broaden out a discussion of health care on this week's VENTSday... seeking your own story about accessing health care or grading its quality. VENTSday removes the guests and puts listener comments front and center on The Exchange. Once a week, it's all about you... we plop a topic on the table, post a survey on our Facebook page, and open the phone lines and email box for live comments. Got an observation or opinion? Share it with the State of Jefferson on VENTSday. Join by phone at 800-838-3760, email JX@jeffnet.org, or take the survey online. You can ALSO record a phone message in advance, at 541-552-6331. Health Care In America: "Fix It"
Richard Master outlines his support for a single-payer health system. The Affordable Care Act--"Obamacare"--got health insurance for millions more people, but it is far from perfect. And that opinion is common even outside the Republicans in Congress who keep voting to kill the program. Richard Master got tired of constantly paying higher health insurance premiums for employees of the company he runs, so he went to look for an answer. 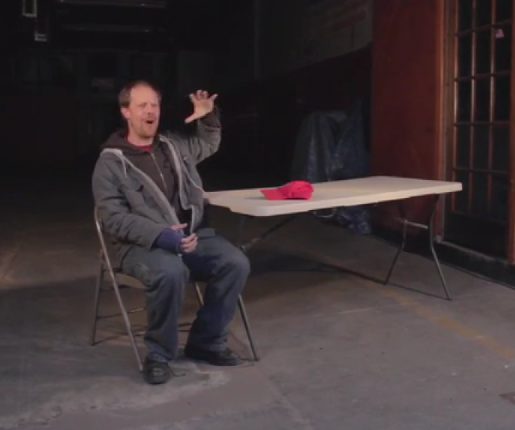 What he found ended up a documentary film called "Fix It: Healthcare At The Tipping Point." Its essence: single-payer health insurance is the way ahead, "Medicare for all." Dr. Jenny Mladenovic and Paul Stewart describe the partnership. 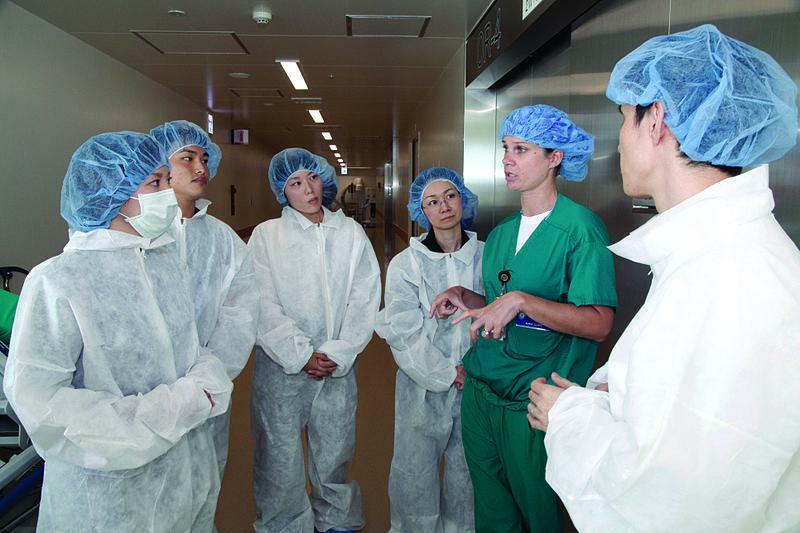 A big city hospital and a small town version will team up to train doctors in Oregon. Oregon Health & Sciences University in Portland and Sky Lakes Medical Center in Klamath falls plan a joint venture on the Sky Lakes Campus. 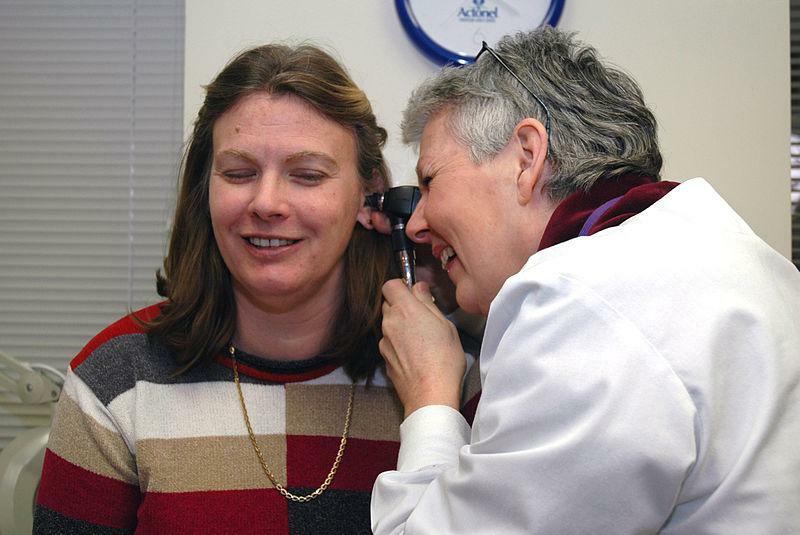 It will strengthen health care in the Klamath Basin and skills training for physicians planning to go into family practice. Emily Wing Smith talks about life inside her head. Emily Wing Smith nearly died in a car accident when she was twelve years old. And that turned out to be a good thing; because her post-accident health care discovered a brain tumor, a big one. The presence of the tumor explained a lot of anomalies in her health and behavior before the accident. 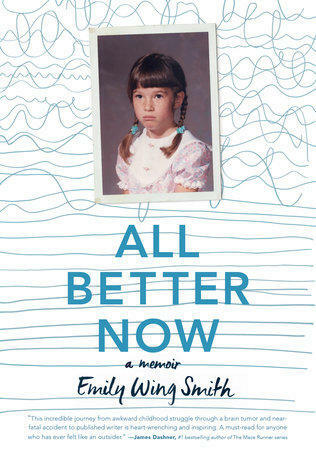 The story of the tumor and its effects and treatment is told in Smith's memoir All Better Now. Dr. Kelvin Vu talks Humboldt County's and his needs converging. You can imagine why lots of doctors like to work in urban areas... there are lots of people there, and building a lucrative practice would be fairly easy. There's a lot less money to be made in rural areas, and that's why the federal government provides the National Health Service Corps. 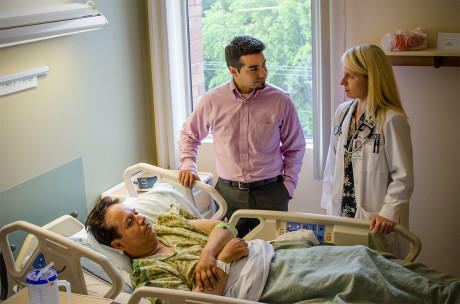 NHSC brings medical professionals to "underserved" communities in exchange for some commitments. Dr. Kelvin Vu at the Open Door Clinics in Humboldt County arrived through NHSC, and is happy sticking around. Doug Stewart lays out Mercy Flights' history. Another medical drawback of living in a mostly rural area is the time it takes to get critical care. The best hospital can be a couple of hours away by car. And that situation explains how Mercy Flights came to be. 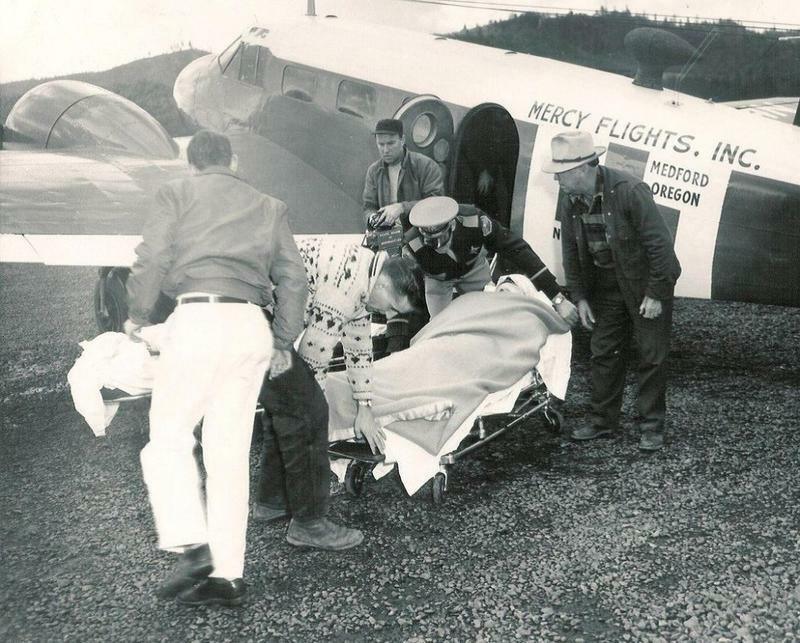 The country's first private non-profit air ambulance service started in Medford in 1949, and continues today. It's more than surviving, it's thriving, too, as Mercy Flights added local ground ambulance service, too. Saul Weiner and Alan Schwartz describe their work. 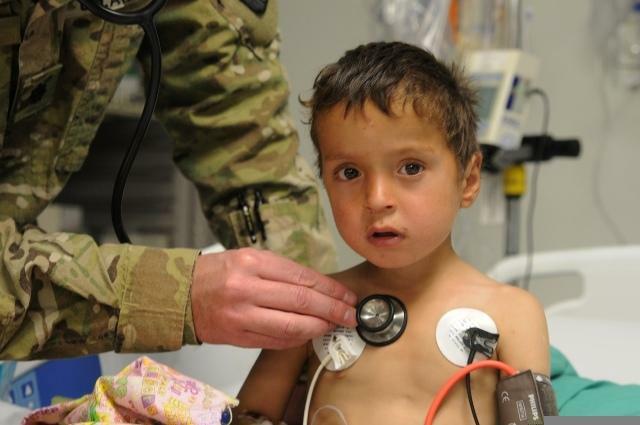 It's not the stethoscope, it's the ears. 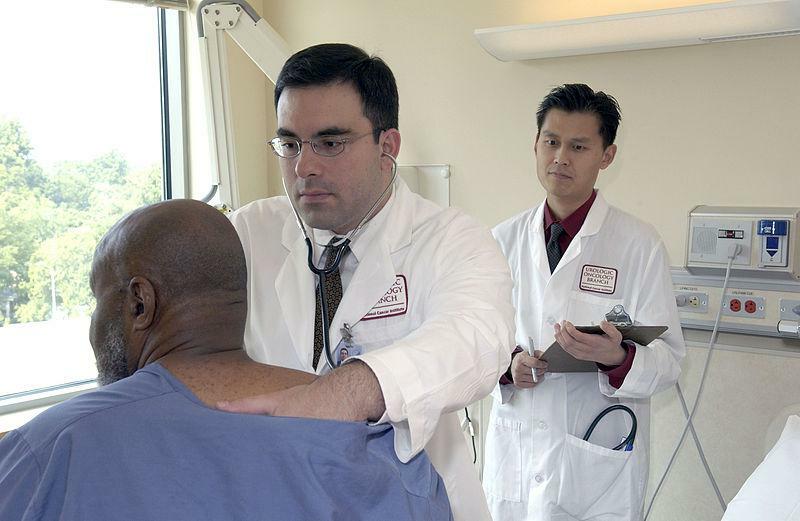 Doctors have a lot to listen to when a patient arrives complaining about a health matter. But the patient's story tops the list. 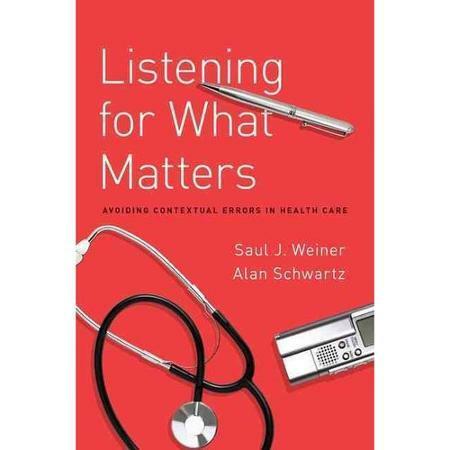 Medical schools stress the importance of taking a patient history and keeping the story straight, a process underscored in the book Listening For What Matters. The Inherent Drama of "Bedside Manners"
Suzanne Gordon communicates about communication problems with medical pros. There's plenty of drama involved in the practice of medicine. That's why there have been so many TV shows over the years about doctors and hospitals. But the drama can get in the way of good communication, and that's why there is a play called "Bedside Manners." It is part play and part workbook for health professionals to use, to focus on improving their communication and patient care. Linda Boly and Mick Seidl explain the case. Linda Boly just wanted to do her job as a nurse at a Portland hospital. But she had concerns about the quality of nursing, and pointed out to hospital administrators that cost-cutting was jeopardizing patient care. She was fired for poor job performance, even though her job reviews had been stellar. Boly begged to differ, and did so in court. Now her former employer has to pay her $3 Million for wrongful termination. 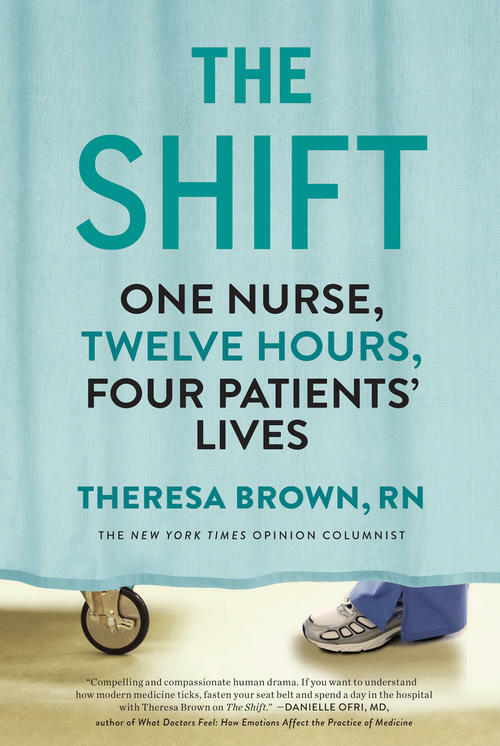 The Nurse's Perspective Of "The Shift"
Theresa Brown shares her love of nursing. Theresa Brown loves her work as a nurse, and loves to write about it. She gives glimpses of the medical world in her New York Times column, and long, unblinking views in her books, including the new The Shift. The title refers to a single day, one 12-hour shift in which Brown and her colleagues deal with life-and-death matters involving four separate patients. It gives a plain and frank look at the situations and decisions faced by medical professionals, and the effects on patients. Health Care And "Mercy Killers"
Michael Milligan explains why he wrote "Mercy Killers." It's hard to believe it's been five years since the Affordable Care Act--"Obamacare"--became law. What's less hard to believe is that many people still seek better health care laws, to further protect people from medical and economic catastrophe. The one-man play "Mercy Killers" debuted shortly before the law passed; it details the all-too-frequent circumstances of a man attempting to care for a sick wife. The play comes to Springfield on September 20th and Eugene on September 25th.